This volume reports on discussions among multiple stakeholders about ways they might help transform health care in the United States. The U.S. healthcare system consists of a complex network of decentralized and loosely associated organizations, services, relationships, and participants. Each of the healthcare system's component sectors--patients, healthcare professionals, healthcare delivery organizations, healthcare product developers, clinical investigators and evaluators, regulators, insurers, employers and employees, and individuals involved in information technology--conducts activities that support a common goal: to improve patient health and wellbeing. Implicit in this goal is the commitment of each stakeholder group to contribute to the evidence base for health care, that is, to assist with the development and application of information about the efficacy, safety, effectiveness, value, and appropriateness of the health care delivered. Recent scientific and technological advances have accelerated our understanding of the causes of disease development and progression, and resulted in innovative treatments and therapies. Ongoing work to elucidate the effects of individual genetic variation on patient outcomes suggests the rapid pace of discovery in the biomedical sciences will only accelerate. However, these advances belie an important and increasing shortfall between the expansion in therapy and treatment options and knowledge about how these interventions might be applied appropriately to individual patients. The impressive gains made in Americans' health over the past decades provide only a preview of what might be possible when data on treatment effects and patient outcomes are systematically captured and used to evaluate their effectiveness. Needed for progress are advances as dramatic as those experienced in biomedicine in our approach to assessing clinical effectiveness. In the emerging era of tailored treatments and rapidly evolving practice, ensuring the translation of scientific discovery into improved health outcomes requires a new approach to clinical evaluation. A paradigm that supports a continual learning process about what works best for individual patients will not only take advantage of the rigor of trials, but also incorporate other methods that might bring insights relevant to clinical care and endeavor to match the right method to the question at hand. The Institute of Medicine Roundtable on Value & Science-Driven Health Care's vision for a learning healthcare system, in which evidence is applied and generated as a natural course of care, is premised on the development of a research capacity that is structured to provide timely and accurate evidence relevant to the clinical decisions faced by patients and providers. 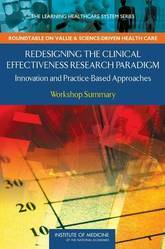 As part of the Roundtable's Learning Healthcare System series of workshops, clinical researchers, academics, and policy makers gathered for the workshop Redesigning the Clinical Effectiveness Research Paradigm: Innovation and Practice-Based Approaches. Participants explored cutting-edge research designs and methods and discussed strategies for development of a research paradigm to better accommodate the diverse array of emerging data resources, study designs, tools, and techniques. Presentations and discussions are summarized in this volume. Second in a series of publications from the Institute of Medicine's Quality of Health Care in America project Today's health care providers have more research findings and more technology available to them than ever before. Yet recent reports have raised serious doubts about the quality of health care in America. 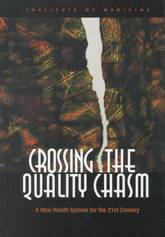 Crossing the Quality Chasm makes an urgent call for fundamental change to close the quality gap. 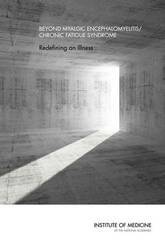 This book recommends a sweeping redesign of the American health care system and provides overarching principles for specific direction for policymakers, health care leaders, clinicians, regulators, purchasers, and others. 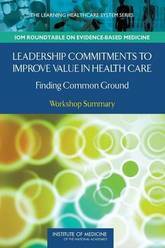 In this comprehensive volume the committee offers: * A set of performance expectations for the 21st century health care system. 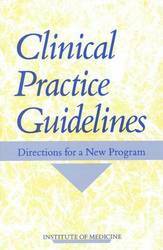 * A set of 10 new rules to guide patient-clinician relationships. * A suggested organizing framework to better align the incentives inherent in payment and accountability with improvements in quality. * Key steps to promote evidence-based practice and strengthen clinical information systems. Analyzing health care organizations as complex systems, Crossing the Quality Chasm also documents the causes of the quality gap, identifies current practices that impede quality care, and explores how systems approaches can be used to implement change. Environmental health decision making can be a complex undertaking, as there is the need to navigate and find balance among three core elements: science, policy, and the needs of the American public. Policy makers often grapple with how to make appropriate decisions when the research is uncertain. The challenge for the policy maker is to make the right decision with the best available data in a transparent process. The Environmental Health Sciences Decision Making workshop, the first in a series, was convened to inform the Roundtable on Environmental Health Sciences, Research, and Medicine on emerging issues in risk management, weight of evidence, and ethics that influence environmental health decision making. 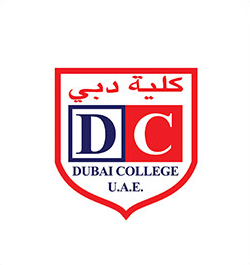 The workshop, summarized in this volume, included an overview of the principles underlying decision making, the role of evidence and challenges for vulnerable populations, and ethical issues of conflict of interest, scientific integrity, and transparency. The workshop engaged science interest groups, industry, government, and the academic sector. The Postdoctoral Experience Revisited builds on the 2000 report Enhancing the Postdoctoral Experience for Scientists and Engineers. That ground-breaking report assessed the postdoctoral experience and provided principles, action points, and recommendations to enhance that experience. Since the publication of the 2000 report, the postdoctoral landscape has changed considerably. The percentage of PhDs who pursue postdoctoral training is growing steadily and spreading from the biomedical and physical sciences to engineering and the social sciences. The average length of time spent in postdoctoral positions seems to be increasing. 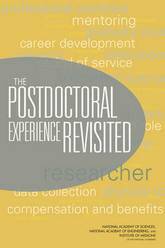 The Postdoctoral Experience Revisited reexamines postdoctoral programs in the United States, focusing on how postdocs are being guided and managed, how institutional practices have changed, and what happens to postdocs after they complete their programs. This book explores important changes that have occurred in postdoctoral practices and the research ecosystem and assesses how well current practices meet the needs of these fledgling scientists and engineers and of the research enterprise. The Postdoctoral Experience Revisited takes a fresh look at current postdoctoral fellows - how many there are, where they are working, in what fields, and for how many years. This book makes recommendations to improve aspects of programs - postdoctoral period of service, title and role, career development, compensation and benefits, and mentoring. Current data on demographics, career aspirations, and career outcomes for postdocs are limited. This report makes the case for better data collection by research institution and data sharing. A larger goal of this study is not only to propose ways to make the postdoctoral system better for the postdoctoral researchers themselves but also to better understand the role that postdoctoral training plays in the research enterprise. It is also to ask whether there are alternative ways to satisfy some of the research and career development needs of postdoctoral researchers that are now being met with several years of advanced training. Postdoctoral researchers are the future of the research enterprise. The discussion and recommendations of The Postdoctoral Experience Revisited will stimulate action toward clarifying the role of postdoctoral researchers and improving their status and experience. The United States economy relies on the productivity, entrepreneurship, and creativity of its people. To maintain its scientific and engineering leadership amid increasing economic and educational globalization, the United States must aggressively pursue the innovative capacity of all its people—women and men. However, women face barriers to success in every field of science and engineering; obstacles that deprive the country of an important source of talent. Without a transformation of academic institutions to tackle such barriers, the future vitality of the U.S. research base and economy are in jeopardy. 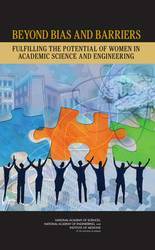 Beyond Bias and Barriers explains that eliminating gender bias in academia requires immediate overarching reform, including decisive action by university administrators, professional societies, federal funding agencies and foundations, government agencies, and Congress. If implemented and coordinated across public, private, and government sectors, the recommended actions will help to improve workplace environments for all employees while strengthening the foundations of America's competitiveness. There have always been homeless people in the United States, but their plight has only recently stirred widespread public reaction and concern. Part of this new recognition stems from the problem's prevalence: the number of homeless individuals, while hard to pin down exactly, is rising. 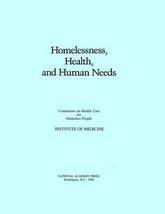 In light of this, Congress asked the Institute of Medicine to find out whether existing health care programs were ignoring the homeless or delivering care to them inefficiently. This book is the report prepared by a committee of experts who examined these problems through visits to city slums and impoverished rural areas, and through an analysis of papers written by leading scholars in the field. Children are already learning at birth, and they develop and learn at a rapid pace in their early years. This provides a critical foundation for lifelong progress, and the adults who provide for the care and the education of young children bear a great responsibility for their health, development, and learning. Despite the fact that they share the same objective - to nurture young children and secure their future success - the various practitioners who contribute to the care and the education of children from birth through age 8 are not acknowledged as a workforce unified by the common knowledge and competencies needed to do their jobs well. 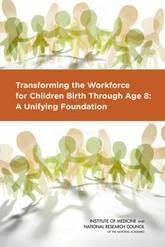 Transforming the Workforce for Children Birth Through Age 8 explores the science of child development, particularly looking at implications for the professionals who work with children. This report examines the current capacities and practices of the workforce, the settings in which they work, the policies and infrastructure that set qualifications and provide professional learning, and the government agencies and other funders who support and oversee these systems. 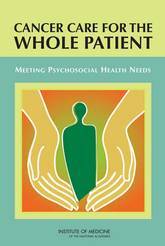 This book then makes recommendations to improve the quality of professional practice and the practice environment for care and education professionals. These detailed recommendations create a blueprint for action that builds on a unifying foundation of child development and early learning, shared knowledge and competencies for care and education professionals, and principles for effective professional learning. Young children thrive and learn best when they have secure, positive relationships with adults who are knowledgeable about how to support their development and learning and are responsive to their individual progress. Transforming the Workforce for Children Birth Through Age 8 offers guidance on system changes to improve the quality of professional practice, specific actions to improve professional learning systems and workforce development, and research to continue to build the knowledge base in ways that will directly advance and inform future actions. 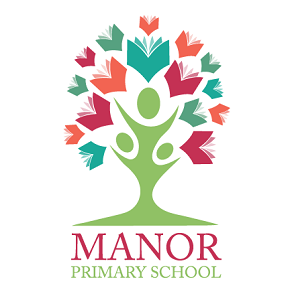 The recommendations of this book provide an opportunity to improve the quality of the care and the education that children receive, and ultimately improve outcomes for children. How we produce and consume food has a bigger impact on Americans' well-being than any other human activity. The food industry is the largest sector of our economy; food touches everything from our health to the environment, climate change, economic inequality, and the federal budget. From the earliest developments of agriculture, a major goal has been to attain sufficient foods that provide the energy and the nutrients needed for a healthy, active life. Over time, food production, processing, marketing, and consumption have evolved and become highly complex. The challenges of improving the food system in the 21st century will require systemic approaches that take full account of social, economic, ecological, and evolutionary factors. Policy or business interventions involving a segment of the food system often have consequences beyond the original issue the intervention was meant to address. A Framework for Assessing Effects of the Food System develops an analytical framework for assessing effects associated with the ways in which food is grown, processed, distributed, marketed, retailed, and consumed in the United States. The framework will allow users to recognize effects across the full food system, consider all domains and dimensions of effects, account for systems dynamics and complexities, and choose appropriate methods for analysis. This report provides example applications of the framework based on complex questions that are currently under debate: consumption of a healthy and safe diet, food security, animal welfare, and preserving the environment and its resources. 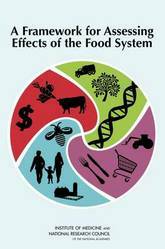 A Framework for Assessing Effects of the Food System describes the U.S. food system and provides a brief history of its evolution into the current system. This report identifies some of the real and potential implications of the current system in terms of its health, environmental, and socioeconomic effects along with a sense for the complexities of the system, potential metrics, and some of the data needs that are required to assess the effects. The overview of the food system and the framework described in this report will be an essential resource for decision makers, researchers, and others to examine the possible impacts of alternative policies or agricultural or food processing practices. Myalgic encephalomyelitis (ME) and chronic fatigue syndrome (CFS) are serious, debilitating conditions that affect millions of people in the United States and around the world. ME/CFS can cause significant impairment and disability. Despite substantial efforts by researchers to better understand ME/CFS, there is no known cause or effective treatment. Diagnosing the disease remains a challenge, and patients often struggle with their illness for years before an identification is made. Some health care providers have been skeptical about the serious physiological - rather than psychological - nature of the illness. Once diagnosed, patients often complain of receiving hostility from their health care provider as well as being subjected to treatment strategies that exacerbate their symptoms. Beyond Myalgic Encephalomyelitis/Chronic Fatigue Syndrome proposes new diagnostic clinical criteria for ME/CFS and a new term for the illness - systemic exertion intolerance disease(SEID). According to this report, the term myalgic encephalomyelitis does not accurately describe this illness, and the term chronic fatigue syndrome can result in trivialization and stigmatization for patients afflicted with this illness. Beyond Myalgic Encephalomyelitis/Chronic Fatigue Syndrome stresses that SEID is a medical - not a psychiatric or psychological - illness. This report lists the major symptoms of SEID and recommends a diagnostic process.One of the report's most important conclusions is that a thorough history, physical examination, and targeted work-up are necessary and often sufficient for diagnosis. The new criteria will allow a large percentage of undiagnosed patients to receive an accurate diagnosis and appropriate care. Beyond Myalgic Encephalomyelitis/Chronic Fatigue Syndrome will be a valuable resource to promote the prompt diagnosis of patients with this complex, multisystem, and often devastating disorder; enhance public understanding; and provide a firm foundation for future improvements in diagnosis and treatment. Healthcare decision makers in search of reliable information that compares health interventions increasingly turn to systematic reviews for the best summary of the evidence. Systematic reviews identify, select, assess, and synthesize the findings of similar but separate studies, and can help clarify what is known and not known about the potential benefits and harms of drugs, devices, and other healthcare services. Systematic reviews can be helpful for clinicians who want to integrate research findings into their daily practices, for patients to make well-informed choices about their own care, for professional medical societies and other organizations that develop clinical practice guidelines. 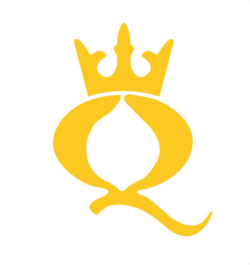 Too often systematic reviews are of uncertain or poor quality. There are no universally accepted standards for developing systematic reviews leading to variability in how conflicts of interest and biases are handled, how evidence is appraised, and the overall scientific rigor of the process. In Finding What Works in Health Care the Institute of Medicine (IOM) recommends 21 standards for developing high-quality systematic reviews of comparative effectiveness research. 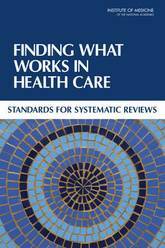 The standards address the entire systematic review process from the initial steps of formulating the topic and building the review team to producing a detailed final report that synthesizes what the evidence shows and where knowledge gaps remain. Finding What Works in Health Care also proposes a framework for improving the quality of the science underpinning systematic reviews. This book will serve as a vital resource for both sponsors and producers of systematic reviews of comparative effectiveness research. The Dietary Reference Intakes (DRIs) are quantitative estimates of nutrient intakes to be used for planning and assessing diets for apparently healthy people. This volume is the second of two reports in the DRI series aimed at providing specific guidance on the appropriate uses of the DRIs. 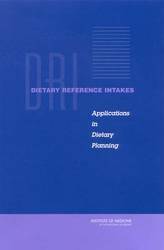 The first report provided guidance on appropriate methods for using DRIs in dietary assessment. 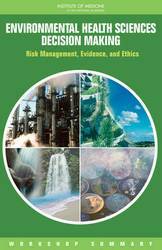 This volume builds on the statistical foundations of the assessment report to provide specific guidance on how to use the appropriate DRIs in planning diets for individuals and for groups. Dietary planning, whether for an individual or a group, involves developing a diet that is nutritionally adequate without being excessive. The planning goal for individuals is to achieve recommended and adequate nutrient intakes using food-based guides. For group planning, the report presents a new approach based on considering the entire distribution of usual nutrient intakes rather than focusing on the mean intake of the group. The report stresses that dietary planning using the DRIs is a cyclical activity that involves assessment, planning, implementation, and reassessment. Nutrition and public health researchers, dietitians and nutritionists responsible for the education of the next generation of practitioners, and government professionals involved in the development and implementation of national diet and health assessments, public education efforts and food assistance programs will find this volume indispensable for setting intake goals for individuals and groups. Committee on Prevention and Control of Sexually Transmitted Diseases (1997, 68 pp.  ; $4.00 each; minimum order of 50 copies). The United States is among the wealthiest nations in the world, but it is far from the healthiest. Although life expectancy and survival rates in the United States have improved dramatically over the past century, Americans live shorter lives and experience more injuries and illnesses than people in other high-income countries. The U.S. health disadvantage cannot be attributed solely to the adverse health status of racial or ethnic minorities or poor people: even highly advantaged Americans are in worse health than their counterparts in other, peer countries. In light of the new and growing evidence about the U.S. health disadvantage, the National Institutes of Health asked the National Research Council (NRC) and the Institute of Medicine (IOM) to convene a panel of experts to study the issue. The Panel on Understanding Cross-National Health Differences Among High-Income Countries examined whether the U.S. health disadvantage exists across the life span, considered potential explanations, and assessed the larger implications of the findings. 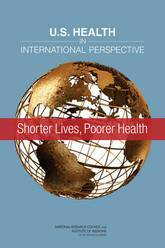 U.S. Health in International Perspective presents detailed evidence on the issue, explores the possible explanations for the shorter and less healthy lives of Americans than those of people in comparable countries, and recommends actions by both government and nongovernment agencies and organizations to address the U.S. health disadvantage. The Health Insurance Portability and Accountability Act (HIPAA) of 1996 was enacted to improve the portability and continuity of health insurance; promote medical savings accounts; improve access to long-term care services and coverage; and simplify the administration of health insurance. HIPAA's Administrative Simplification provisions focus on facilitating the electronic exchange of information for financial and administrative functions related to patient care. However, the very advances that make it easier to transmit information also present challenges to preserving the confidentiality of potentially sensitive personal information contained in medical records. In 2003, the President's Cancer Panel discovered HIPAA Privacy Rule slowed research on cancer survivors, as well as causing increased bureaucracy, informed consent problems, and complications for clinical trials. 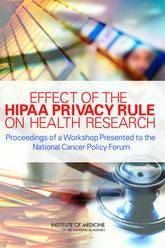 Effect of the HIPAA Privacy Rule on Health Research evaluates the impact of HIPAA provisions and provides guidance to legislators on amendments needed to make this law better serve the interests of cancer survivors and others. Tuberculosis (TB) kills approximately 4,500 people worldwide every day. While most cases of TB can be treated with antibiotics, some strains have developed drug resistance that makes their treatment more expensive, more toxic and less effective for the patient. 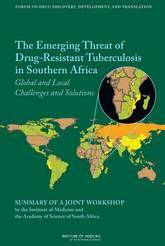 The IOM Forum on Drug Discovery, Development, and Translation and the Academy of Science of South Africa held a workshop to discuss ways to fight the growing threat of drug-resistant TB. The threat of domestic terrorism today looms larger than ever. Bombings at the World Trade Center and Oklahoma City's Federal Building, as well as nerve gas attacks in Japan, have made it tragically obvious that American civilians must be ready for terrorist attacks. What do we need to know to help emergency and medical personnel prepare for these attacks? Chemical and Biological Terrorism identifies the R&D efforts needed to implement recommendations in key areas: pre-incident intelligence, detection and identification of chemical and biological agents, protective clothing and equipment, early recognition that a population has been covertly exposed to a pathogen, mass casualty decontamination and triage, use of vaccines and pharmaceuticals, and the psychological effects of terror. Specific objectives for computer software development are also identified. The book addresses the differences between a biological and chemical attack, the distinct challenges to the military and civilian medical communities, and other broader issues. 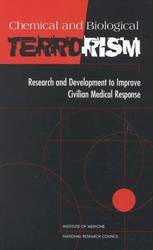 This book will be of critical interest to anyone involved in civilian preparedness for terrorist attack: planners, administrators, responders, medical professionals, public health and emergency personnel, and technology designers and engineers. H1N1 ( swine flu ), SARS, mad cow disease, and HIV/AIDS are a few examples of zoonotic diseases-diseases transmitted between humans and animals. Zoonotic diseases are a growing concern given multiple factors: their often novel and unpredictable nature, their ability to emerge anywhere and spread rapidly around the globe, and their major economic toll on several disparate industries. Infectious disease surveillance systems are used to detect this threat to human and animal health. By systematically collecting data on the occurrence of infectious diseases in humans and animals, investigators can track the spread of disease and provide an early warning to human and animal health officials, nationally and internationally, for follow-up and response. Unfortunately, and for many reasons, current disease surveillance has been ineffective or untimely in alerting officials to emerging zoonotic diseases. 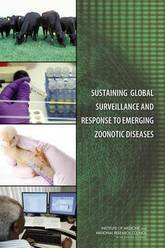 Sustaining Global Surveillance and Response to Emerging Zoonotic Diseases assesses some of the disease surveillance systems around the world, and recommends ways to improve early detection and response. The book presents solutions for improved coordination between human and animal health sectors, and among governments and international organizations. Parties seeking to improve the detection and response to zoonotic diseases--including U.S. government and international health policy makers, researchers, epidemiologists, human health clinicians, and veterinarians--can use this book to help curtail the threat zoonotic diseases pose to economies, societies, and health. Physical inactivity is a key determinant of health across the lifespan. A lack of activity increases the risk of heart disease, colon and breast cancer, diabetes mellitus, hypertension, osteoporosis, anxiety and depression and others diseases. Emerging literature has suggested that in terms of mortality, the global population health burden of physical inactivity approaches that of cigarette smoking. The prevalence and substantial disease risk associated with physical inactivity has been described as a pandemic. The prevalence, health impact, and evidence of changeability all have resulted in calls for action to increase physical activity across the lifespan. In response to the need to find ways to make physical activity a health priority for youth, the Institute of Medicine's Committee on Physical Activity and Physical Education in the School Environment was formed. 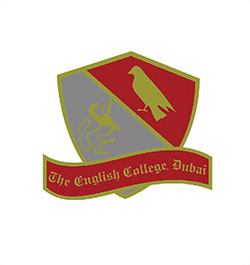 Its purpose was to review the current status of physical activity and physical education in the school environment, including before, during, and after school, and examine the influences of physical activity and physical education on the short and long term physical, cognitive and brain, and psychosocial health and development of children and adolescents. 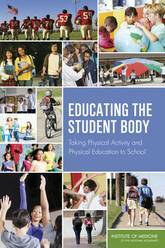 Educating the Student Body makes recommendations about approaches for strengthening and improving programs and policies for physical activity and physical education in the school environment. This report lays out a set of guiding principles to guide its work on these tasks. These included: recognizing the benefits of instilling life-long physical activity habits in children; the value of using systems thinking in improving physical activity and physical education in the school environment; the recognition of current disparities in opportunities and the need to achieve equity in physical activity and physical education; the importance of considering all types of school environments; the need to take into consideration the diversity of students as recommendations are developed. This report will be of interest to local and national policymakers, school officials, teachers, and the education community, researchers, professional organizations, and parents interested in physical activity, physical education, and health for school-aged children and adolescents. Cancer care today often provides state-of-the-science biomedical treatment, but fails to address the psychological and social (psychosocial) problems associated with the illness. This failure can compromise the effectiveness of health care and thereby adversely affect the health of cancer patients. Psychological and social problems created or exacerbated by cancer--including depression and other emotional problems; lack of information or skills needed to manage the illness; lack of transportation or other resources; and disruptions in work, school, and family life--cause additional suffering, weaken adherence to prescribed treatments, and threaten patients' return to health. Today, it is not possible to deliver high-quality cancer care without using existing approaches, tools, and resources to address patients' psychosocial health needs. All patients with cancer and their families should expect and receive cancer care that ensures the provision of appropriate psychosocial health services. Cancer Care for the Whole Patient recommends actions that oncology providers, health policy makers, educators, health insurers, health planners, researchers and research sponsors, and consumer advocates should undertake to ensure that this standard is met. For most Americans, staying mentally sharp as they age is a very high priority. Declines in memory and decision-making abilities may trigger fears of Alzheimer's disease or other neurodegenerative diseases. However, cognitive aging is a natural process that can have both positive and negative effects on cognitive function in older adults - effects that vary widely among individuals. At this point in time, when the older population is rapidly growing in the United States and across the globe, it is important to examine what is known about cognitive aging and to identify and promote actions that individuals, organizations, communities, and society can take to help older adults maintain and improve their cognitive health. Cognitive Aging assesses the public health dimensions of cognitive aging with an emphasis on definitions and terminology, epidemiology and surveillance, prevention and intervention, education of health professionals, and public awareness and education. This report makes specific recommendations for individuals to reduce the risks of cognitive decline with aging. Aging is inevitable, but there are actions that can be taken by individuals, families, communities, and society that may help to prevent or ameliorate the impact of aging on the brain, understand more about its impact, and help older adults live more fully and independent lives. 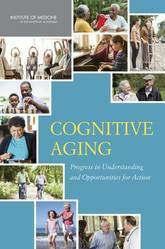 Cognitive aging is not just an individual or a family or a health care system challenge. It is an issue that affects the fabric of society and requires actions by many and varied stakeholders. Cognitive Aging offers clear steps that individuals, families, communities, health care providers and systems, financial organizations, community groups, public health agencies, and others can take to promote cognitive health and to help older adults live fuller and more independent lives. Ultimately, this report calls for a societal commitment to cognitive aging as a public health issue that requires prompt action across many sectors. The scientific research enterprise is built on a foundation of trust. Scientists trust that the results reported by others are valid. Society trusts that the results of research reflect an honest attempt by scientists to describe the world accurately and without bias. But this trust will endure only if the scientific community devotes itself to exemplifying and transmitting the values associated with ethical scientific conduct. On Being a Scientist was designed to supplement the informal lessons in ethics provided by research supervisors and mentors. The book describes the ethical foundations of scientific practices and some of the personal and professional issues that researchers encounter in their work. It applies to all forms of research--whether in academic, industrial, or governmental settings-and to all scientific disciplines. 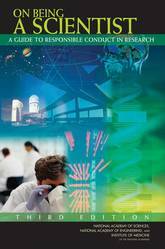 This third edition of On Being a Scientist reflects developments since the publication of the original edition in 1989 and a second edition in 1995. A continuing feature of this edition is the inclusion of a number of hypothetical scenarios offering guidance in thinking about and discussing these scenarios. On Being a Scientist is aimed primarily at graduate students and beginning researchers, but its lessons apply to all scientists at all stages of their scientific careers. Interdisciplinary research is a cooperative effort by a team of investigators, each an expert in the use of different methods and concepts, who have joined in an organized program to attack a challenging problem. Each investigator is responsible for the research in their area of discipline that applies to the problem, but together the investigators are responsible for the final product. The need for interdisciplinary training activities has been detailed over the last 25 years in both public and private reports. The history of science and technology has even shown the important advances that arose from interdisciplinary research, including plate tectonics which brought together geologists, oceanographers, paleomagnetists, seismologists, and geophysicists to advance the ability to forecast earthquakes and volcanic eruptions. In recognition of this, the need to train scientists who can address the highly complex problems that challenge us today and fully use new knowledge and technology, and the fact that cooperative efforts have proved difficult, the National Institute of Mental Health (NIMH), the National Institutes of Health (NIH) Office of Behavioral and Social Sciences Research (OBSSR), the National Institute on Nursing Research (NINR), and the National Institute on Aging (NIA) requested that an Institute of Medicine (IOM) Committee be created to complete several tasks including: examining the needs and strategies for interdisciplinary training in the brain, behavioral, social, and clinical sciences, defining necessary components of true interdisciplinary training in these areas, and reviewing current educational and training programs to identify elements of model programs that best facilitate interdisciplinary training. 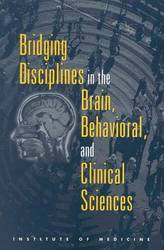 Bridging Disciplines in the Brain, Behavioral, and Clinical Sciences provides the conclusions and recommendations of this committee. Due to evaluations of the success of interdisciplinary training programs are scarce, the committee could not specify the necessary components or identify the elements that best facilitate interdisciplinary training. However, after reviewing existing programs and consulting with experts, the committee identified approaches likely to be successful in providing direction for interdisciplinary endeavors at various career stages. This report also includes interviews, training programs, and workshop agendas used. 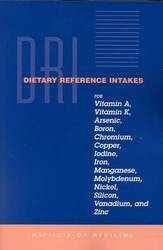 This volume is the newest release in the authoritative series issued by the National Academy of Sciences on dietary reference intakes (DRIs). This series provides recommended intakes, such as Recommended Dietary Allowances (RDAs), for use in planning nutritionally adequate diets for individuals based on age and gender. 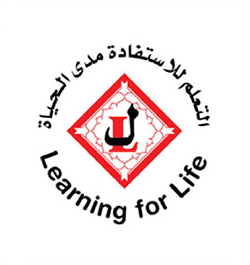 In addition, a new reference intake, the Tolerable Upper Intake Level (UL), has also been established to assist an individual in knowing how much is too much of a nutrient. Based on the Institute of Medicine's review of the scientific literature regarding dietary micronutrients, recommendations have been formulated regarding vitamins A and K, iron, iodine, chromium, copper, manganese, molybdenum, zinc, and other potentially beneficial trace elements such as boron to determine the roles, if any, they play in health. The book also: * Reviews selected components of food that may influence the bioavailability of these compounds. * Develops estimates of dietary intake of these compounds that are compatible with good nutrition throughout the life span and that may decrease risk of chronic disease where data indicate they play a role. * Determines Tolerable Upper Intake levels for each nutrient reviewed where adequate scientific data are available in specific population subgroups. * Identifies research needed to improve knowledge of the role of these micronutrients in human health. This book will be important to professionals in nutrition research and education. The Social Security Administration (SSA) is engaged in redesigning its disability determination process for providing cash benefits and medical assistance to blind and disabled persons under the Social Security Disability Insurance (SSDI) program and the Supplemental Security Income (SSI) program (Title II and Title XVI of the Social Security Act). 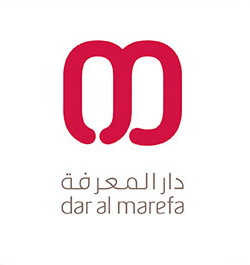 The agency has undertaken a multiyear research effort to develop and test the feasibility, validity, reliability, and practicality of the redesigned disability determination process before making any decision about its national implementation. 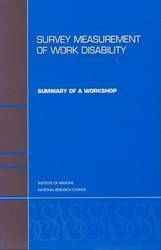 Survey Measurement of Work Disability reviews and provides advice on this research. One of the major areas for review is the ongoing independent, scientific review of the scope of work, design, and content of the Disability Evaluation Study (DES) and the conduct of the study by the chosen survey contractor. This report identifies statistical design, methodological, and content concerns and addresses other issues as they arise. The federal government plays the predominant role in supporting research and development (R&D) and in establishing public policies that affect science and technology (S&T) in the United States. However, the federal government is no longer the sole focus of R&D funding and S&T policy making. State and local policy makers are unquestionably making more and more decisions that affect all of us on a daily basis. With this shift, states have also assumed an increasing responsibility for developing, formalizing, and institutionalizing policies and programs that support R&D and enable S&T evidence and expertise to be incorporated into policy making. These issues were explored during a first-of-its-kind National Convocation organized by the National Academy of Sciences, the National Academy of Engineering, and the Institute of Medicine in collaboration with the National Association of Academies of Science and the California Council on Science and Technology. Scientists, engineers, state policy makers, experts from state regulatory agencies, representatives from foundations, and experts in scientific communication from 20 states and the District of Columbia participated in this event. This report highlights the major themes from the Convocation that emerged from the presentations and from the rich discussions that occurred in both plenary and breakout sessions. Increasingly over the past five years, uncertainty about reimbursement for routine patient care has been suspected as contributing to problems enrolling people in clinical trials. Clinical trial investigators cannot guarantee that Medicare will pay for the care required, and they must disclose this uncertainty to potential participants during the informed consent process. Since Medicare does not routinely preauthorize care (as do many commercial insurers) the uncertainty cannot be dispelled in advance. Thus, patients considering whether to enter trials must assume that they may have to pay bills that Medicare rejects simply because they have enrolled in the trial. This report recommends an explicit policy for reimbursement of routine patient care costs in clinical trials. It further recommends that HCFA provide additional support for selected clinical trials, and that the government support the establishment of a national clinical trials registry. These policies (1) should assure that beneficiaries would not be denied coverage merely because they have volunteered to participate in a clinical trial; and (2) would not impose excessive administrative burdens on HCFA, its fiscal intermediaries and carriers, or investigators, providers, or participants in clinical trials. Explicit rules would have the added benefit of increasing the uniformity of reimbursement decisions made by Medicare fiscal intermediaries and carriers in different parts of the country. Greater uniformity would, in turn, decrease the uncertainty about reimbursement when providers and patients embark on a clinical trial. 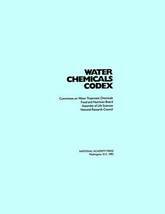 Sixth in a series of congressionally mandated studies, this book is an updated review and evaluation of the available evidence regarding the statistical assoication between exposure to herbicides used in Vietnam and various adverse health outcomes suspected to be linked with such exposure. 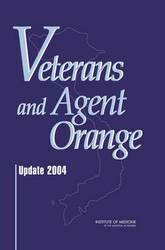 This book builds upon the information contained in the earlier books in the series: *Veterans and Agent Orange: Health Effects of Herbicides Used in Vietnam (1994) *Veterans and Agent Orange: Update 1996 *Veterans and Agent Orange: Update 1998 *Veterans and Agent Orange: Update 2000 *Veterans and Agent Orange: Update 2002 *Veterans and Agent Orange: Herbicides and Dioxin Exposure and Type 2 Diabetes (2000) *Veterans and Agent Orange: Herbicide/Dioxin Exposure and Acute Myelogenous Leukemia in the Children of Vietnam Veterans (2002) Veterans and Agent Orange: Update 2004 focuses primarily on scientific studies and other information developed since the release of these earlier books. The previous volumes have noted that sufficient evidence exists to link chronic lymphocytic leukemia, soft-tissue sarcoma, non-Hodgkina (TM)s lymphoma, Hodgkina (TM)s disease, and chloracne with exposure. The books also noted that there is a /limited or suggestivea evidence of an association between exposure and respiratory cancers, prostate cancer, multiple myeloma, the metabolic disorder porphyria cutanea tarda, early-onset transient peripheral neuropathies, Type 2 diabetes, and the congenital birth defect spinal bifida in veteransa (TM) children. This volume will be critically important to both policymakers and physicians in the federal government, Vietnam veterans and their families, veteransa (TM) organizations, researchers, and health professionals.